NASA has selected five U.S. aerospace companies to conduct concept studies for a potential future Mars orbiter mission. Such a mission would continue key capabilities including telecommunications and global high-resolution imaging in support of the agency’s Journey to Mars. 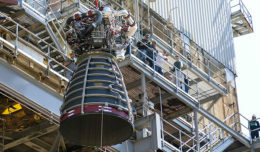 The companies contracted for these four-month studies are: Boeing in Huntington Beach, Calif.; Lockheed Martin Space Systems in Denver, Colo.; Northrop Grumman Aerospace Systems in Redondo Beach, Calif.; Orbital ATK in Dulles, Va.; and Space Systems/Loral in Palo Alto, Calif.
NASA’s Jet Propulsion Laboratory in Pasadena, Calif., is managing the concept studies under the direction of the agency’s Mars Exploration Program. 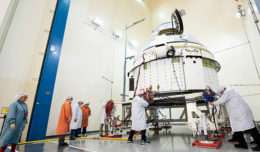 For more information about NASA’s Journey to Mars, visit https://www.nasa.gov/journeytomars.